When you hear that distinctive booming baritone, there's no mistaking it's the Man in Black! Johnny Cash's incredible songs innovatively mixed country, blues and gospel, a testament to his hugely diverse musical influences growing up; and his lyrics were frank in dealing with universal emotions like regret, hope, and love as well as complex subjects like God and the plight of prisoners. 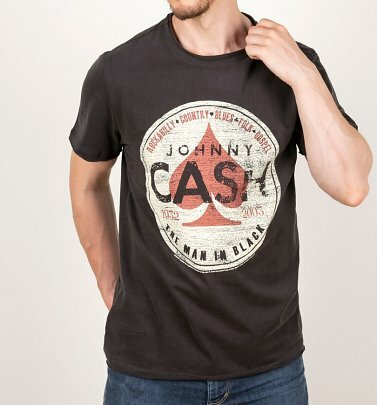 Celebrate this respected musical icon with our equally legendary Johnny Cash T-Shirts from Amplified.